Ayami Sato is the top-ranked woman in the world and she is the ace of a nearly-unhittable Japanese pitching staff. （VICE SPORTS Aug. 30）　Though the Women’s Baseball World Cup has been held biennially since 2004, it has mostly flown under the radar. There isn’t a lot of awareness that adult women play baseball at a high level, let alone on an international stage—“Women’s baseball? Don’t you mean softball?” comes the inevitable rejoinder. This year’s competition, though, has seen a marked increase in the visibility of the WBWC, thanks in large part to all of the games being streamed live on YouTube. And that means more people are getting a chance to witness of one of the most striking runs of complete mastery in international sports. Japan’s national women’s baseball team has appeared in every single championship game since the WBWC began. Since 2008, they have won five straight championships. Despite the presence of the United States and Canada in the competition, both teams with relatively strong development programs and top-tier talent, Japan has been undefeated since 2012, holding a perfect 28-0 record. That dominance has continued into this year’s event, where the team outscored its opponents 46-3 over five games in the first round. They breezed through the second round, too, with a 3-0 victory over Team USA and a 2-1 victory over Chinese Taipei. Even with a field stronger and deeper than it has ever been before in the WBWC—this year’s competition features 12 teams—Japan enters Friday’s championship game as the obvious pick to win, no matter who they’ll end up facing. It’s the same situation they have been in for the past decade of international competition, and it seems likely that their unprecedented winning streak will remain intact for another year. Within that streak for Japan, though, is another incredible stretch of performance—this one an individual achievement, one that might end up in the history books, and that has been largely unheralded until this year. While any period of sustained dominance like Japan has shown in international women’s baseball competition requires a complete team effort, when you look at the numbers underlying their undefeated stretch, it’s the pitching that stands out the most for Japan. This year, they’ve allowed only four runs in 47 innings of play. And on that nearly-unhittable Japanese pitching staff, one woman stands out as the team’s undeniable ace: 28-year-old starter Ayami Sato, the top-ranked woman baseball player in the world. Ayami Sato first picked up a baseball at the age of nine. It’s a familiar baseball origin story: When she went out to play with her brother and his friends, they invited her to play baseball, and a passion for the sport was born. Sato was drawn to the control and constant action of being a pitcher, and when her brother entered youth baseball programs, so did she. Unlike in the US, there are Japanese high schools with girls’ baseball programs. Where most North American girls who play baseball as kids see their opportunities to compete disappear once Little League ends, Sato had opportunities to develop her skill as a ballplayer throughout her teenage years. As her high school career drew to a close, though, she found herself wondering whether she would be able to continue playing. There was, of course, the Japanese national baseball program. But like everywhere else in the world, there were no wider competitive opportunities for young women who wanted to pursue careers in baseball, no matter how skilled they might be. 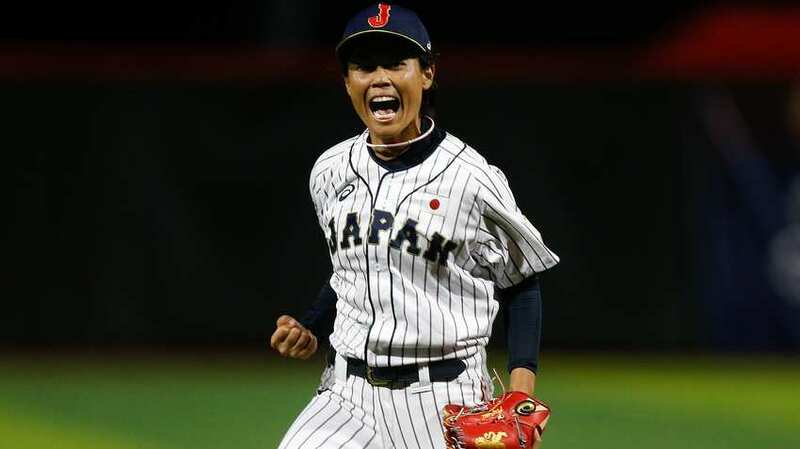 During that transitional phase in Sato’s baseball career, when she thought she might have to leave the sport, there turned out to be a light at the end of the tunnel: the founding of the Japan Women’s Baseball League in August of 2009. A health-food magnate was inspired by a particularly well-played high school girls’ baseball tournament to provide a league for the most talented of those to continue playing. The JWBL, though its attendance numbers are humble, still exists today, expanding the number of players it employs year over year; it recently signed several Taiwanese. Here was a place for players to not only hone their skills outside of the international training circuit, but make a living playing baseball—a goal to work towards, a hope for the future.